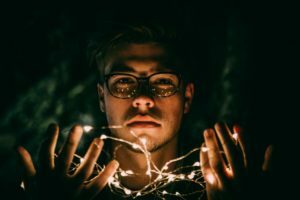 Acting Magazine | What is the “Magic If”? The “Magic If” is an acting technique that seeks to put the actor in their character’s shoes by asking a basic question, or series of questions, centered around the question word, “If”. Every actor who performs a role is portraying a character who is not exactly like themselves, unless the role is autobiographical in nature. When preparing the role, the actor must find ways to understand and relate to their character. Otherwise, it is impossible to accurately portray them. 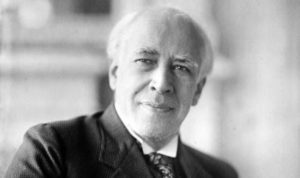 One technique, created by Konstantin Stanislavski, takes an important step toward solving this problem. This technique is called the “Magic If”, sometimes referred to as “As If”. It calls upon the actor to relate to their character by asking a basic question or series of questions centered around the question word, “if”. • What would I do if I were in this situation? • How would I respond if he said that to me? • How would I behave if I found myself facing these problems? • How would my life change if this traumatic event happened to me? • What thoughts would go through my mind if I saw that happen to someone I loved? How would I feel inside? By placing themselves in their character’s situation, the actor gains a better understanding of the given circumstances facing the character. And by analyzing how he or she would respond if they, themselves, faced those circumstances, the actor can take more truthful actions when performing the role.